Ha Ha…aren’t these the funniest smiles ever? Perfect for the Halloween season. These make a qreat afternoon snack for the kids. They will love making these. My kids think they are “funny” and they taste good too. I already knew that I liked apples with peanut butter, but didn’t know what I would think of the marshmallows in the mix. Well, I must admit I thought it was actually quite tasty. Spread peanut butter on one side of each apple slice. 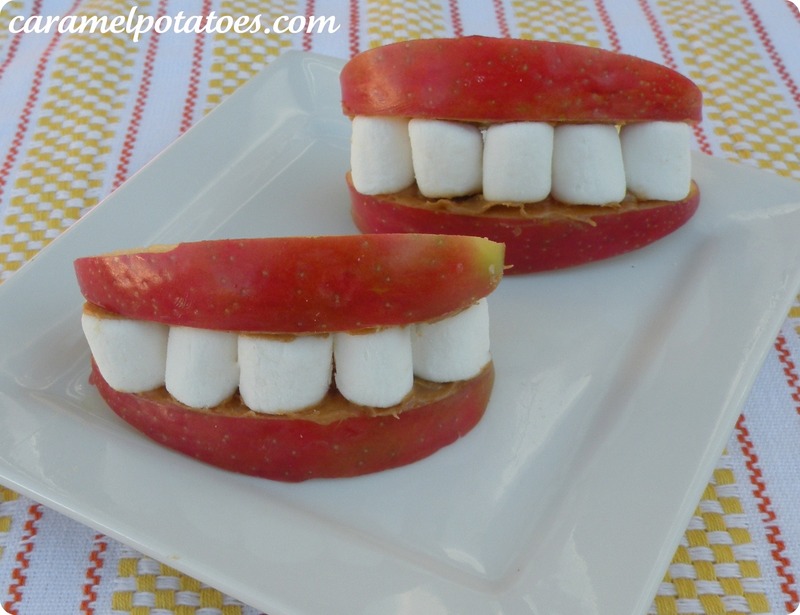 Place 4-5 miniature marshmallows on one apple slice and then lay another apple slice, peanut butter side down, on top. **Recipe from Family Fun Magazine. Haha! This is so cute, me and the hubs laughed. Will be makin these for the kiddos. I LOVE this! Thank you for such a cute idea! I am doing this today! I love this snack. I would love for you to share these at my ongoing Fall linky, you can find a button link to it on my right side bar. I also have a weekly anything goes linky you can strut your stuff in. Hope to see you soon. hysterical. they made me laugh and i had to come and check them out in a bigger picture!! I love this and would like to make them for a classroom party. Problem is, no peanuts allowed 🙁 Any suggestions for a substitution for the peanut butter? 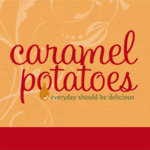 Hmm….I would try marshmallow cream, frosting, cream cheese or a thick caramel sauce. I have never tried any of the above, but these are my ideas. Please let us know what you end up using….I would love to know what works!! Good Luck.